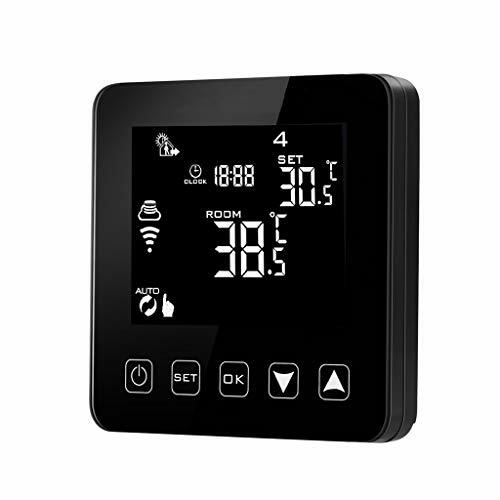 WIFI Capabilities Makes for Easy Use This programmable smart thermostat, with built-in self-testing GFCI (Ground Fault Protection), allows you to control your floor heating system with your mobile device or computer. If you have a busy schedule, the nSpire Touch Wi-Fi ability to be controlled remotely can translate into huge energy savings without sacrificing comfort or convenience. ; Save on Energy With an included floor sensor, your system can use the floor temperature instead of the ambient temperature to run more efficiently and save energy. You have the ability to remotely change the temperature so that your home can be warm when you’re there, or turn the temperature down to save energy while you’re away. 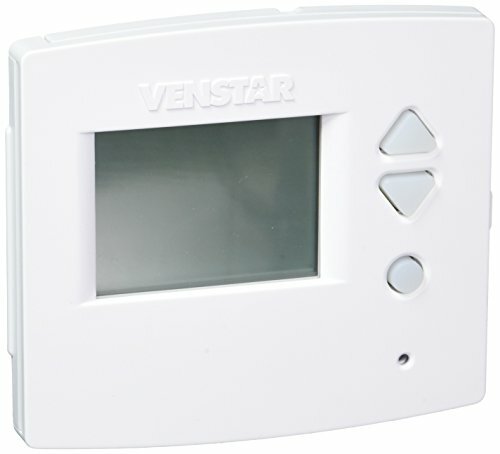 This model provides maximum control over the floor temperature with 4 programmable events for each day of the week. The built-in energy log allows you to easily track your energy use as well as patterns. 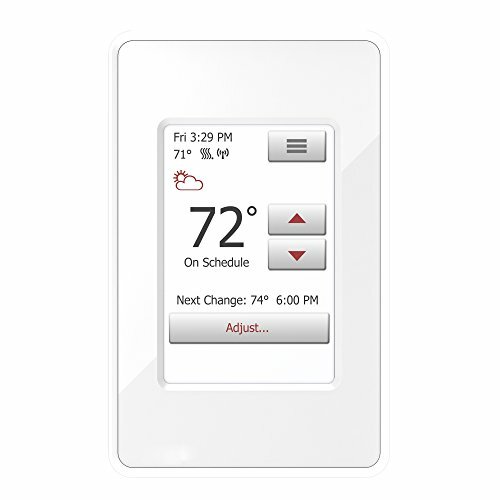 ; Simple Design for Easy Installation A great thermostat is the secret to any great heating system. Not only is it how you control the temperature, it’s also how you customize your comfort. 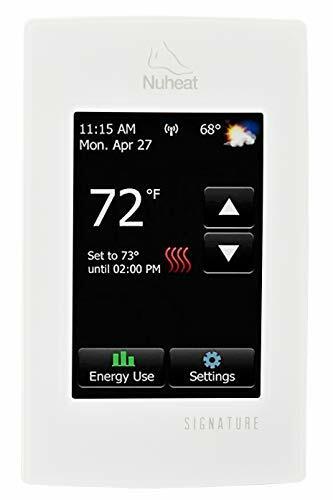 With its crystal-clear 3.5″” full color touchscreen display, the dual voltage (120V/240V) nSpire Touch Wi-Fi is as easy to operate as it is to look at. The integrated Install Wizard and easy-programming options make set up a breeze. You can feel secure knowing that your thermostat will remain set to the temperature you establish with a featured child-lock function. This model has a max load of 15 amps. ; Backed by a 3-year warranty for manufacture and workmanship, WarmlyYours also provides lifetime technical support, available 24 hours a day, 7 days a week.